PDFs may have replaced galley proofs, but Hemingway’s editor still has lessons to teach the literary world. Max Perkins: Editor of Genius is reissued this month, 35 years after it was first published – but what can the man who told Ernest Hemingway to “tone it down” and lived to tell the tale teach us about publishing today? The book trade’s response to the creation of Penguin Random House has been largely despairing – but there is new hope for independents. The reactions to news that the publishing arms of Bertelsmann and Pearson are merging, creating the biggest publisher in the world in Penguin Random House, can be summed up in one word: negative. There are, however, three strands to this glass-half-emptiness – and all of them, when you scratch beneath the surface, spectacularly miss the point. First, there’s pessimism – evident in bleak industry forecasts right, left and centre based on the current state of the trade, in its worst shape in living memory. Print sales are falling – down 11% in 2011, the trend continuing in 2012 – while bookshops, both specialist and chain, are closing. Borders has gone, Waterstones is in turmoil, and independent booksellers the length and breadth of the country are vanishing. Publishers, meanwhile, are being squeezed by the last remnants of the High Street, struggling to make established margins pay. Last but not least, advances are falling, the midlist novelist looking like an endangered species and writing for a living no longer an option for the vast majority of published let alone aspiring authors. 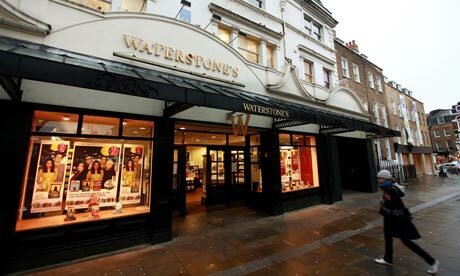 Reading the riot acts: why wasn’t Waterstone’s looted? Are books just for the middle class? As society puzzles over its divisions, perhaps the publishing industry should follow suit. Oh how Twitter scoffed and acted unsurprised as we woke to find our local bookshops had escaped the attentions of the looting riotniks. Waterstone’s even challenged rioters to loot them as “they might learn something”. Ha ha! LOLZ! Sigh. It’s difficult to argue with the stark economic realism of those who weighed up their looting options and came down firmly on the side of widescreen TVs and box-fresh kicks. Maeve Binchys don’t fetch a huge resale price on the black market – especially if they’re already in the 3 for 2. But while the rioters’ indifference to the intellectual riches on offer at Waterstone’s may or may not be attributable to the much-touted death of the book, it does throw up some stark questions. 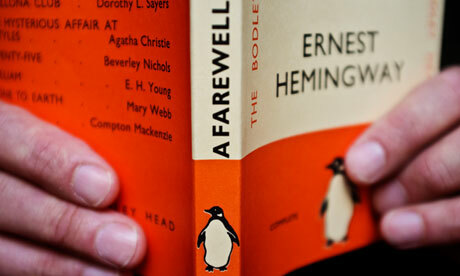 Is reading just for the middle classes? Are you more or less likely to riot if you read? What could books offer the looters anyway? As the riots fade and the talking starts, all the rhetoric is about community, education, offering the rioters prospects and life expectations and qualifications and journeys towards growing up as well-adjusted members of society. How better to do all these things than with books? Maybe it’s just a question of class. As the author Gavin James Bower says, “Jobs in publishing overwhelmingly go to white, middle-class people. The product reflects this, which isn’t much good if you’re a working-class kid.” If publishing is full of white, middle-class people is it any wonder that bookshops are too? The writing community can be as diverse as it likes – in class, race, religion and genre – but if publishers don’t know how to market these books, they’re not going to find readers. Or maybe it starts even earlier, in school, where according to the journalist Kieran Yates “young people often don’t feel like they can empathise with a syllabus of literature that is so far removed from their own lives”. The future of the book, if you believe the hype, hinges less on publishers and more on one of the retail and technology giants – Apple, Google, Amazon – dominating the space, both in terms of market share and platform. That 85% of ebooks are now purchased through Kindle at least covers the former – for now. But what of the latter: format? Some commentators – very few, but some – have argued that there’s no impending death of the book at all, and the question of hardware’s moot. As Dan Franklin’s maintained on this blog – James Bridle with his Open Bookmarks, too – reading won’t go away. Only the experience of reading will change. So how does that impact on me, an author?